There are the obvious things you need when you go sailing, sunscreen, a hat, a windbreaker, non-skid shoes, and wind. However, what do you really need to be ready to head out on the water? 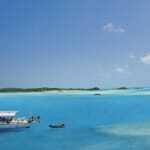 These are a few sailing tips to keep you safe and that ensure that you have a fun time out on the water. Be very careful what you call a rope on a boat. To a sailor, rope is raw material. A piece of rope that does a job is called a line and every line has a name. From a sheet as in a mainsheet or a jibsheet to a halyard to the boom vang every line has its own identity. 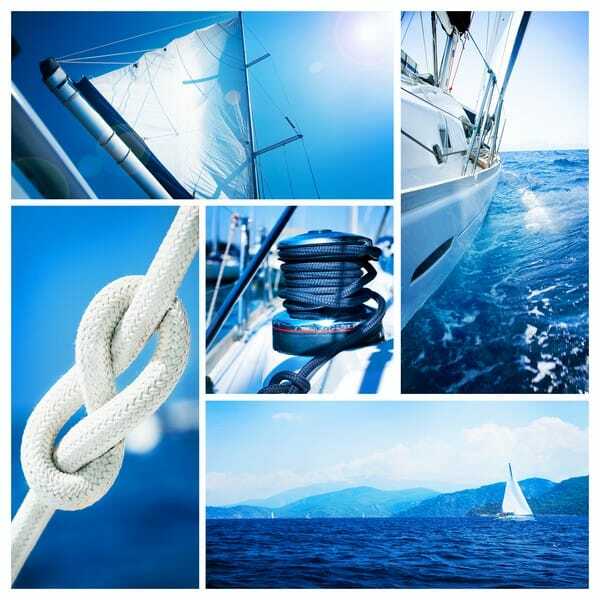 Never unfasten a halyard and let it go. Always hold onto it until it is secured. An accidental tug on the opposite end of an unsecured halyard can buy you, or someone else, a trip up the mast to retrieve it. Take care that your fingers never get between the line and the winch. Work deliberately and, when tailing, keep your hands as far from the winch as practicable – about two feet is good. 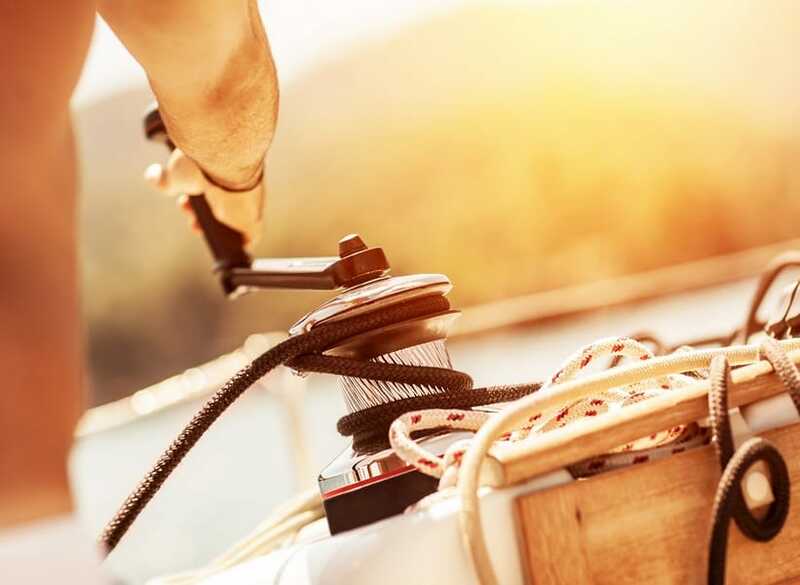 Also, to avoid possible injuries, always remove the winch handle from the winch after cleating the line and secure in its proper storage location. When steering with a tiller or a wheel, sit on the windward side of the cockpit for the best view of the sails and the boat’s surroundings. Sitting just forward of the end of the tiller gives you the best leverage and a tiller extension, or hiking stick, lets you sit farther outboard for an even better view of the sails and the water ahead. During a tack, the mainsheet needs very little to no adjustment if you want to keep things simple. 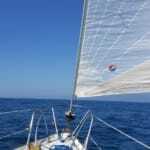 Never release the jib sheet while the sail is full and drawing – wait for the turn. 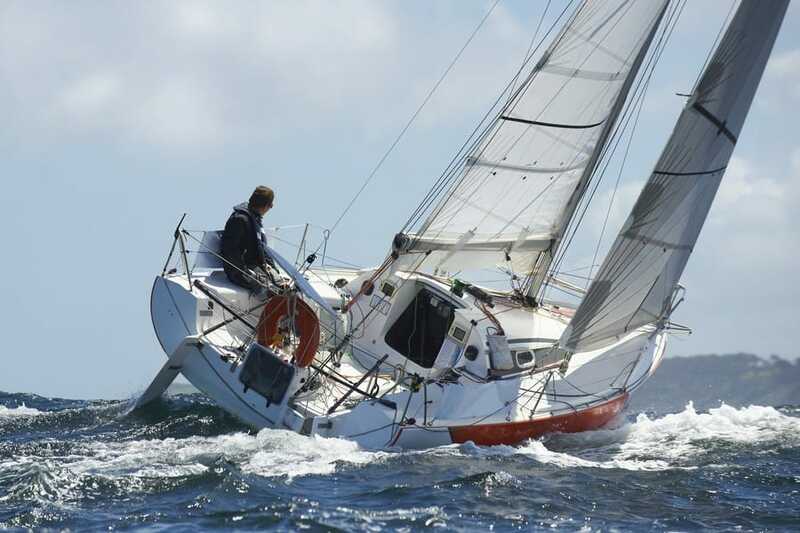 Also, turn at a consistent rate – do not stop the turn until you are nearly on the new close-hauled course. If you turn too slowly the boat will lose momentum and if you turn too quickly the boat might overshoot the desired new heading. If you notice an accidental jibe occurring, yell “duck” loudly to warn the crew that the boom and its associated rigging is going to be coming across the cockpit with a vengeance. When a sail is over trimmed, it generates less power even while it looks full. The wind hits the sail at too wide an angle, disrupting the wind flow and, like a stalled airplane wing, the sail generates less lift and more drag. Remember the golden rule of sail trim is: When in doubt let it out. 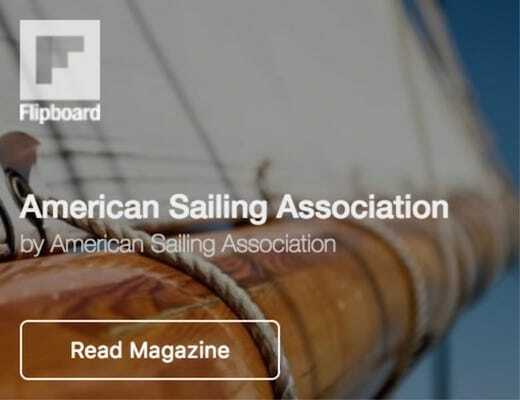 All of these tips come from Sailing Made Easy, The Official Manual for the ASA Basic Keelboat Sailing Course. Able to skipper a sloop-rigged keelboat of approximately 20 to 27 feet in length by day in light to moderate winds (up to 15 knots) and sea conditions. 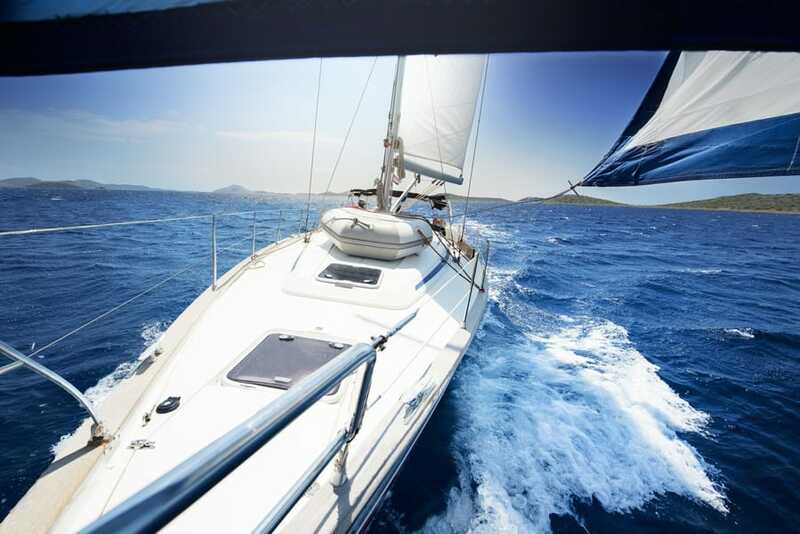 Knowledge of basic sailing terminology, parts, and functions, helm commands, basic sail trim, points of sail, buoyage, seamanship and safety including basic navigation rules to avoid collisions and hazards. Auxiliary power operation is not required. 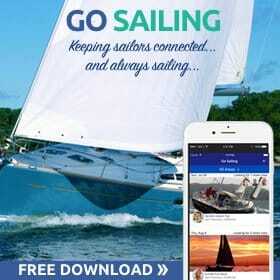 Take our free online sailing course – it’s easy and fun and you’ll learn all about the world of sailing, one that some see as a sport and others choose as a lifestyle. 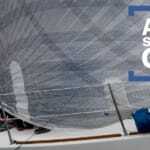 Read about our ASA Certifications our accredited schools teach to sailing enthusiasts. 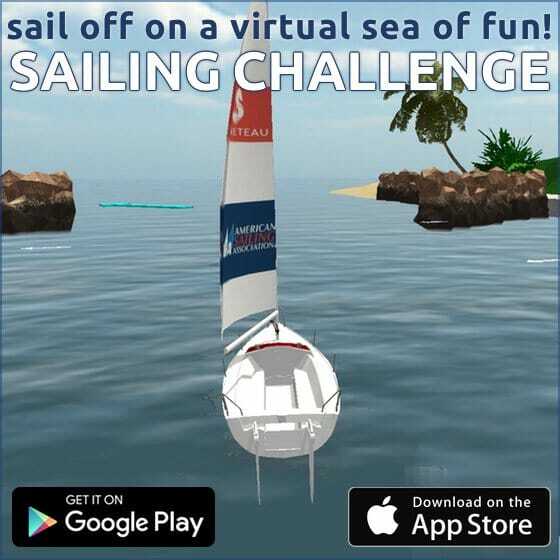 Find a Sailing School and take sailing lessons to improve your sailing skills.